Bappi Lahiri, Mandingo, Alfred Hitchcock, Zombie Zombie, Bruno Nicolai and more. 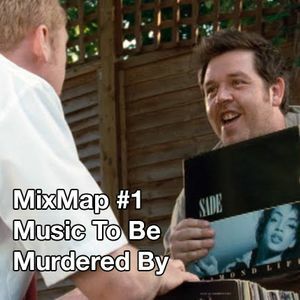 In the first in our new, irregular series of MixMap podcasts, Bartholomew Owl from eagleowl takes us on a journey of death-scovery. He’s put together a mix entitled Music To Be Murdered By, and has written a short blog about the formation of the ghoulish Our Ladies Of Sorrow … which should get you in the mood for our Hallowe’en Party, taking place at The Mash House in Edinburgh on Friday 31st October.